Wembley is located in Perth, Western Australia. It’s about 10mins from City Beach where you can enjoy some of Perth’s world class beaches. The weather is good all year round and you can always find something to do. Perth city is also only a 10minute drive away so it’s conveniently locate close to everything. 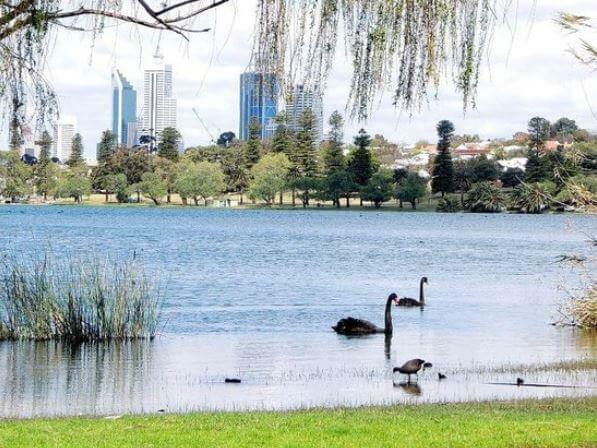 Wembley offers a great lifestyle for anyone who wants to live in Perth and there are a lot of things to see and do. This is a great place to have a meal as this where ‘the flavours of the world unite’. It’s a pretty special place to eat as whatever your taste buds desire we are sure you can find it there. The restaurants range from Asian cuisine to a Paris cafe to a good old Ozzie tucker. This is a great little cafe where you can get a variety of yummy food. The have a beautiful setting which is relaxing and makes for an enjoyable meal. They also offer a variety of vegan and gluten free options and cater for most diets. They are located close to Wembley Auto Care at 49 Herdsman Pde, Wembley so you can go and get a meal or coffee while you car is being serviced. ‘The Heardy’ is a great bar which offers a selection of pub grub at an affordable price. They also have happy hour Monday-Friday and a variety of pub games throughout the week. You can watch all major sports events on the big screen. They are located at 49 Herdsman Pde which is about a 10minute walk from Wembley Auto Care. Although Wembley doesn’t have the attractions of suburbs such as Scarborough there is still a lot you can see and do. This performing arts center has been around for over 20 years and gives you the opportunity to participate in various shows they have on offer. It’s a great place to make friends and learn the art of acting. They are located at 40 Alexander St. This is one of the highlights of Wembley as it is a picturesque lake which offers sunning views. Lake Monger is located on the outskirts of Wembley in Leederville. It’s great for a casual walk or is excellent for getting fit and going for a jog. Although there isn’t a shopping mall in Wembley there are quite a few local unique shops around. You might be better off heading to Subiaco and seeing the variety of great shopping they have on offer there. There aren’t any big hotels in Wembley but there are plenty of places to stay. Cambridge Atrium is great for a reasonably priced apartment. They are located on 227 Cambridge St and cater for individuals or families. Air B&B is always a great option if your looking to stay in Wembley. There are a lot of options with Air B&B and you can meet some friendly locals to give you advice on what to see in Perth.